This photo harks back to 1996, when I was an earnest young (ish - I was 26) Buddhist on a quest for enlightenment. 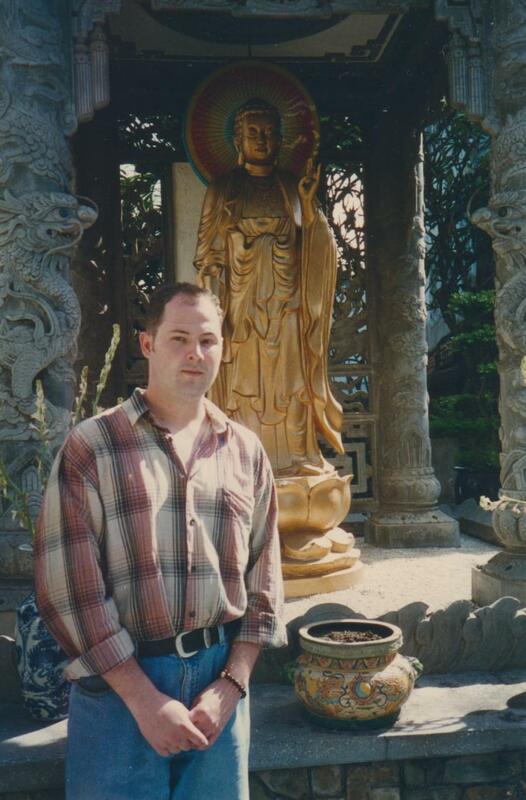 I had quit my job and travelled to Vietnam in the hope of ordaining temporarily as a Buddhist monk, though this proved to be impossible for various reasons. In retrospect it was also probably very fortunate, as I was a particularly immature 26yo, and any foray into monasticism would almost certainly have been disastrous. Ever since my first visit two years previously, Vietnam had been calling me back, and on this trip I had also thought about writing a book. What would I have said if I'd known the book in question wouldn't eventuate for another 14 years or so! I probably would have been cutting and contemptuous of the future me - I was that kind of guy at the time. I was still labouring under an idealised vision of Buddhism, formed by my exposure to the Western Buddhist scene and to the literature of Buddhism in English, both of which emphasised the meditative, transcendent aspects of Buddhism. Once I was immersed in Buddhist culture in Vietnam I quickly realised that I'd learned and read about Buddhism was so divorced from the lived reality as to be basically the stuff of fantasy - something that Buddhist scholars are beginning to realise and write about now. What I discovered instead was practicality, chaos, a great deal of gossip and communities focused on prayer, ritual, celebration and social welfare. All of this was an enormous disappointment to the young me, who had hoped to spend the rest of his days meditating. Before I'd left on my quixotic journey I had travelled out to Canley Vale in suburban Sydney to consult with a monk who had just set up a house temple there. I had demanded to know where I could find a temple in Ho Chi Minh City where meditation was emphasised. The monk, who is now a friend, looked at me rather worriedly, changed the subject and made me eat some mandarins. But after some more small talk I pressed on: Where could I meditate in Vietnam? In desperation he shuffled off into his room and came out witha big red book which would subsequently become my greatest resource: Vietnam's Famous Pagodas. 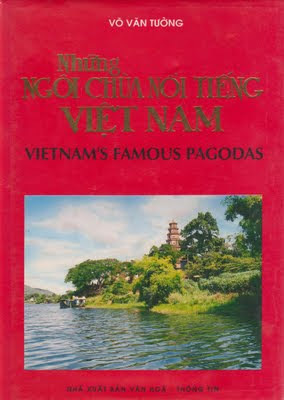 I now own two copies of this book - one for reference in Australia and one in my room in Vietnam. Unfortunately I think it is now out of print, as I haven't seen it in a shop in Vietnam for years. The venerable monk photocopied several pages out of this book, perhaps at random, and assured me that I would find what I was looking for here. And so I found my way to this outdoor shrine to Amitabha at the Quang Huong Gia Lam monastery in Go Vap District. 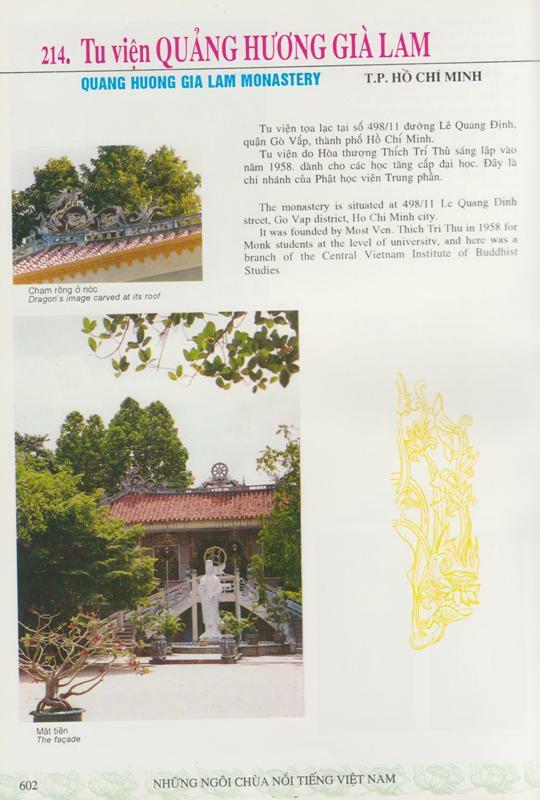 It is nestled in next to Tinh Xa Ngoc Phuong, a massive nunnery belonging to Vietnam's indigenous Buddhist order, the Tang Gia Khat Si. I had almost no Vietnamese at the time, and no-one there spoke any English, and so my regular visits would cause quite a panic. And though I hope I am not slandering the monks, I never did catch any of them at meditation, at any hour of the day or night. So instead I would loiter in the gardens or in the monastery library, reading or writing in my journal. And there I made friends, the kind of wordless, communication-less friends you make when you don't share a common language - sometimes these are the most wonderfully romantic friends. The monks shared their meals with me, saved treats for me and peppered me with questions I couldn't understand. And I began to see that maybe, just maybe, meditation was not the be-all and end-all of Buddhist life - that perhaps there were other ways of practice, ways that involved living respectfully in community, of studying and working. And caring for odd, dumb strangers who stumble into your midst.